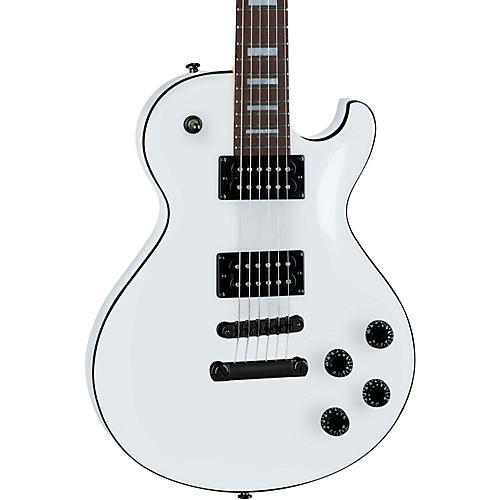 A classically inspired guitar with a modern rock flair. The Dean Thoroughbred X is a classically inspired guitar with a modern rock flair. It has a bold single cutaway and a sleek finish with complementary binding. It's designed to be an affordable choice for musicians ready to move up the ladder and onto the stage. It features a comfortable C-profile neck and rosewood fretboard with easy-to-see position markers. Electronics include DMT Series humbuckers with individual volume and tone controls. Case sold separately. Continue your race to the top with this thoroughbred from Dean. Order today.